Feel free to start your PADI OWD Course online and enjoy your holiday instead spending hours in a classroom. Together with your instructor you will develop your diving skills within relaxing 3 days. Register here (PADI fee payable; incl. Open Water Online (eLearning), certification card processing fee, eTraining log, eManual, eRDP (digital), RDP Table (digital), eRecord, Knowledge Reviews, Quizzes, Exam and Videos). Interactive presentations give you the necessary knowledge and quizzes make sure that you did understand everything. 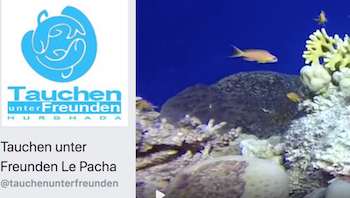 You will have access to the online PADI Open Water Diver Manual during and after the course. Fees for Confined Water Dives and 4 Open Water Dives (incl. logbook and rental equipment): payable at the Dive Center.